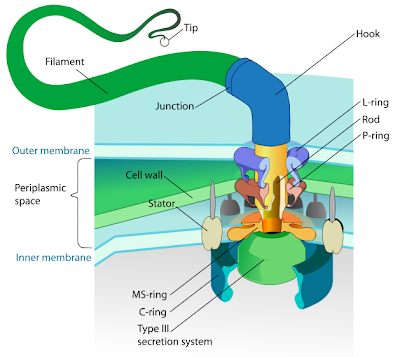 The motor like system found in the bacteria that propels (or makes) the bacteria to move in its own world(Mostly Liquid) is obviously the oldest motor. This motor can have an rpm as high as 100000 rpm. But the rpm usually makes the flagella to rotate at speeds of 1000rpm. It is believed that the fastest animal Leopard makes just 25 body lengths/second. But this bacteria makes about 60 bodylengths/sec which is the fastest ever known in terms of body length. This motor is driven by sodium motive force or proton motive force. For more info on these topics, have a look at the following links.